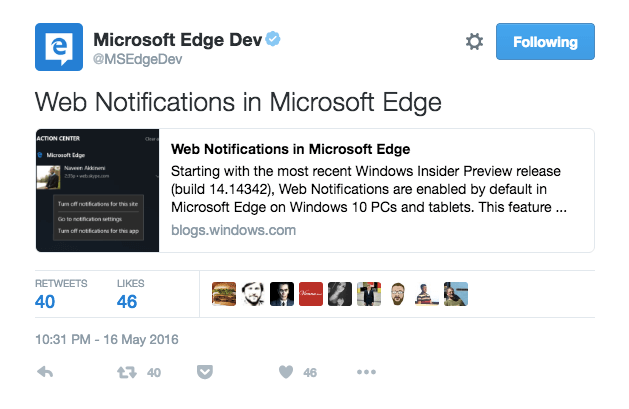 Microsoft finally has announced support for web push notifications support for Edge. Microsoft Edge push notifications work exactly like Chrome or Firefox push notifications. Starting with Edge 17, developers can the web push API to push notifications. Follow this link for more details on how edge notifications work. As per the latest update from Microsoft's Developer portal, the support for service worker will continue to grow. Edge already supports 5196 API's out of the 12002 API's defined in the Specifications. Chrome browser, on the other hand, supports as many as 7017 APIs out of the 12,002 API's defined as per the Specifications. 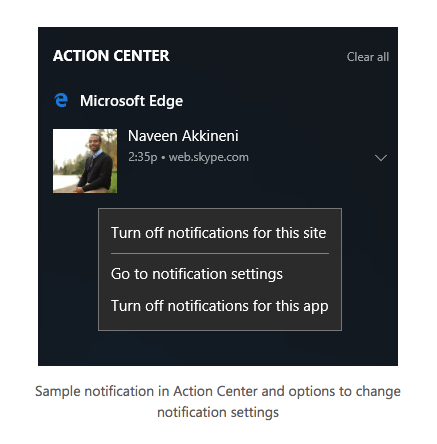 Edge leverages the Windows Notification API platform to pass the notification from the webpage to the Notification platform which will then render and manage notification in a consistent way across all Windows Apps. 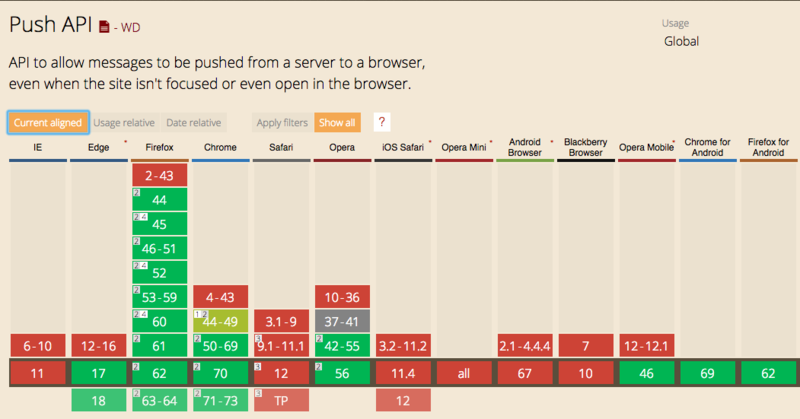 Permission and its management function exactly as Chrome, Firefox and Safari. Users visiting the site are prompted for Subscription. Once the user grants permission, notifications can be pushed to the user. These permissions can be managed directly from the parent domain site. These notifications can be managed using the Microsoft Action Center. Edge now also supports web notifications on Android. Changes in the optimum durations for any notification staying saved in the Action Centre. Prototype support for Service Workers and Push API in the EdgeHTML platform. This will enable notification support on Windows 10 Mobile devices and enable persistent notifications in the Action Center, so that when clicked, the corresponding Service Worker can be invoked to take action.